How can speech & language therapy help my child? The desire and ability to communicate is a basic need. It helps create connections between ourselves and others. As infants, we develop these connections quickly to survive, then these connections help us create emotional bonds with our caregivers. Early communication development occurs quickly and red flags or delays are spotted early. Often at the beginning of the second year. In these early stages, they can also be less serious and quickly addressed. That is why early intervention is so important. Children come up with many ways to communicate their feelings, wants and needs when words fail them. Some positive and some that can be viewed as negative behaviors. But it's all communication in some form. Working with children of any age involves working with families. If we are looking to change a child's behavior, or to impact their communication development, you have to look at changing a part of the family system. Speech and language assessment and therapy addresses the stages of communication development, the areas where a child is not progressing as they should, or learning in a different way; and then implementing strategies to help the child and the family overcome these difficulties. Catherine is a wonderful addition to the CFC’s brilliant team of clinicians. She has more than thirty years of experience and specializes in working with children of all ages in and around Pasadena. She received a Bachelor's degree in Speech Patholgy and Audiology, and a Master's degree in Speech Pathology, both from California State University, Los Angeles. She has certifications in the SCERTS Model (Social, Emotional, Communication, Transactional) and the Hanen Parent Training Program, and is fully trained in the Neurodevelopmental Treament Technique (NDT), PROMPT, and oral motor and feeding techniques for speech production. According to Catherine, speech and language therapy (in many ways) is about hope. This is why she begins by building a child's communication skills based on their existing strengths and helps them overcome their challenges. She empowers parents by teaching them the skills they need to take their children even further in their communication development. She does all this based on proven methods, the latest research in neurology, education, and speech and language pathology, and strategies that she has found successful over her extensive career. She understands the power of communication, and exhausts every avenue to help children reach their full potential. Given Catherine’s extensive SLP experience, she is often sought out to speak to support groups, private schools, preschools, university classrooms, and allied professional groups. She also enjoys supervising recent graduates as clinical fellows, and helping the next generation of Speech Patholgists. Catherine further encourages collaboration in her work, and has nurtured professional relationships throughout the San Gabriel Valley so she may better serve her families. This makes her a wonderful addition to the CFC where we have gathered under one roof expert, independent practitioners from various fields—psychology, social work, pediatrics, educational and occupational therapy, neuropsychology, parent education, speech and language therapy, and on and on—with each clinician offering a connection-based perspective. Families who visit will receive multidisciplinary treatment that is consistent, well informed, relationally based, and always aimed at helping them grow and thrive. To learn more about the CFC’s mission, click here to read a message from our Founder, Dr. Tina Payne Bryson, or click here to learn about our approach and interpersonal neurobiology. To learn more about Catherine, click here. 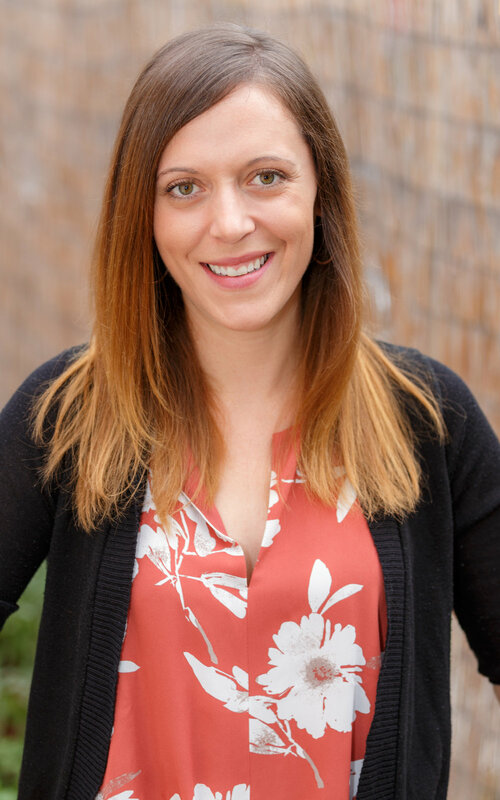 Hanna Bogen Novak, M.S., CCC-SLP is a licensed and board certified Speech-Language Pathologist based in Los Angeles, CA. She has a primary focus on pediatric therapies (birth through teens) that support self-regulation, social communication, executive functioning, and speech and language deficits. She believes in a play-based, child-led, developmental approach to therapy informed by programs such as the SCERTS model and DIR®/Floortime™. In an effort to fully support the whole child, Hanna designs individualized intervention approaches that utilize clients’ strengths and interests to build strong foundational communication skills. Since all communication occurs within social contexts, Hanna considers the many environments and activities where a client’s interactions may take place, and she develops goals that maximize generalized social communication success. Mindfulness activities, sensory-regulation opportunities, emotional-regulation supports, and metacognitive thinking strategies are frequently woven into therapy sessions to facilitate progress in all domains of communication. Hanna’s interest in the role of one’s overall regulation on their communicative success led her to co-create The Brain Talk Curriculum, a program designed to teach students about their brains and how to use their executive functioning capacities of the prefrontal cortex to respond, plan, and reflect mindfully rather than react impulsively. In addition to providing individual and group therapy services, Hanna consults and collaborates with school and therapy teams to support greater understanding of self-regulation, executive functioning, mindfulness, and social-cognitive strategies. She has trained PreK-12 teachers, parents, and professionals across the United States. Hanna works with a diverse population of clients, including those diagnosed with Attention Deficit Hyperactivity Disorder, Autism Spectrum Disorder, language processing disorders, phonological disorders, articulation delays/disorders, and other communication challenges. If you would like to learn more about speech and language therapy, then complete the below interest form and a member of our SLP team will reach out to you shortly.